True freedom can only be experience when you’re willing to try a new direction. The Nutrail Hybrid is the perfect tool for the job. With 4.0 tyres and powerful Bosch CX drive it quite simply knows no limits, rolling on with nonchalent ease whether you’re out in the sticks or in the thick of the urban jungle. This CUBE masterpiece – with a brand new aluminium frame – contains all of our know-how and fastidious attention to detail. 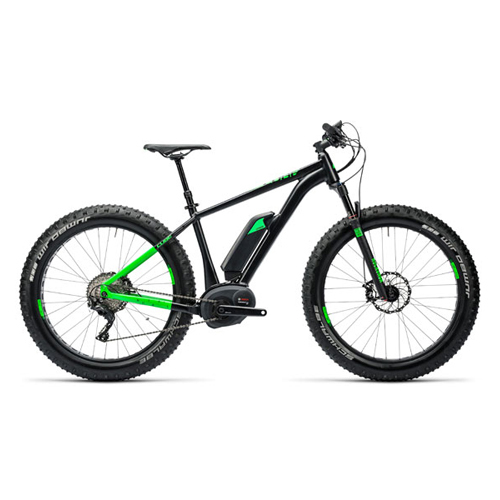 It’s these high quality features that have produced a Fat e-bike that blends the fun factor with genuine everyday practicality.